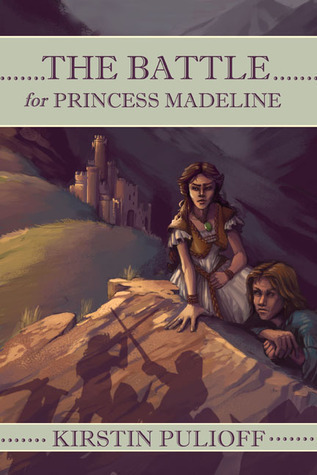 I read both The Escape of Princess Madeline and The Battle of Princess Madeline. I LOVED both of the books and can not wait for the third one! So these books may be a little on the YA novel spectrum (but who doesn't love them anyways!) So if you have a TEEN I would recommend these books Highly or if your a kid at heart! Both books are very well written and believing you are right in there with all the characters. The Escape of Princess Madeline introduces us to the kingdom of Soron. Madeline wants control over her future, the book opens with her father giving her a beautiful dress. Madeline later finds out she it supposed to wear this beautiful dress to her betrothment ball. This book is all about how Madeline gains control of her future. 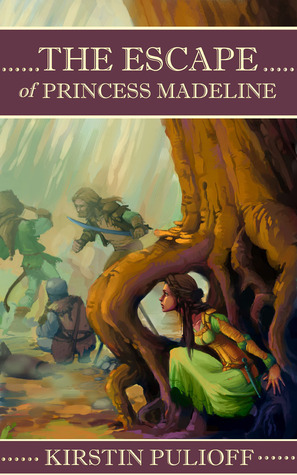 The Battle of Princess Madeline is the sequel of The Escape of Princess Madeline in which the kingdom of Soron is threatened by a would be suitor from the first book. The suitor is infatuated with Madeline and will not see her with anyone else! This book is about how good triumphs over evil (with the help of a little magic). All in all I highly suggest these books for teens or those who love YA novels! Happy Birthday Kirstin on </ span>May 27th!! Kirstin Pulioff is a storyteller at heart. Born and raised in Southern California, she moved to the Pacific Northwest to follow her dreams and graduated from Oregon State University with a degree in Forest Management. Happily married and a mother of two, she lives in North Plains, Oregon, and enjoys being a stay at home mom. When she’s not writing, she is busy with her kids, church and the family business. Open only to those who can legally enter. Winning Entry will be verified prior to prize being awarded. No purchase necessary. You must be 13 or older to enter or have your parent enter for you. The winner will be chosen by Rafflecopter and announced on Rafflecopter and Grand Finale posts as well as emailed and the winner will have 48 hours to respond or a new winner will be chosen. This giveaway is in no way associated with Facebook, Twitter, Rafflecopter or any other entity unless otherwise specified. The number of eligible entries received determines the odds of winning. Giveaway was organized by Kirstin Pulioff and Burgandy Ice & Colorimetry as Prism Book Tours. VOID WHERE PROHIBITED BY LAW. 6/14 – Grand Finale</ span> Blast! These sound like books I'd enjoy (I'm a sucker for a good YA book). I'm definitely going to look into these!